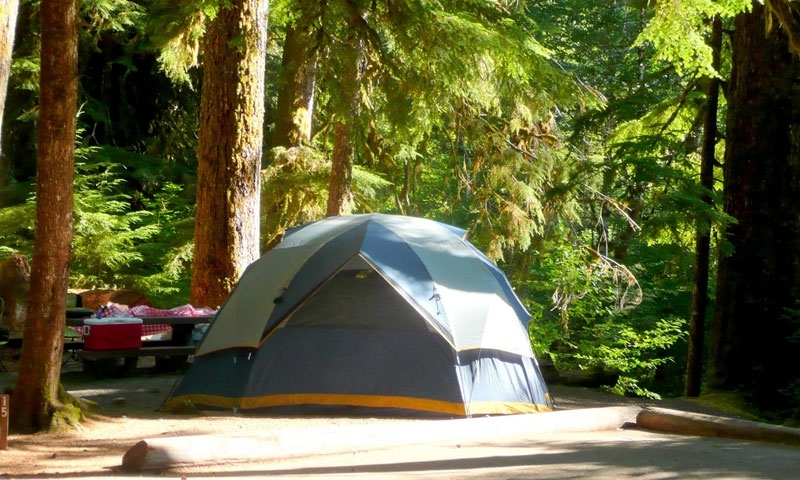 Olympic National Park is the pride of the Olympic Peninsula and there are 16 official National Park campgrounds with a total of 910 camping sites. Olympic National Park is not the only park on the Peninsula. There are also campgrounds at nearby Olympic National Forest, Bogachiel State Park, Dosewallips State Park, and Sequim Bay State Park. Where can I find great campsites near Olympic National Park? Olympic National Park features 876,669 acres of pristine, forests, meadows, beaches, and rainforest. There are 16 campgrounds through the park. Services: Most campgrounds have flush toilets and running water in summer, but convert to pit toilets and no water in the winter. There are no showers nor places to do laundry in the park. Most Campgrounds are near major trailheads. Reservations: The only site that requires reservations is Kalaloch, which requires reservations in oder to aquire a site in the summer. Reservations can be made via: http://www.recreation.gov/ or 1-877-444-6777. Hamma Hamma Cabin, Interlorrem Cabin, and Louella Cabin lie to the east of Olympic National Park, while Lake Quinault Lodge lies to the southwest of the park. Bogachiel State Park is located northwest of Olympic National Park. Bogachiel features 36 standard sites. Dosewallips State Park is located east of Olympic National Park on the shores of the Hood Canal. There are 70 tent spaces, 55 utility sites, three platform tents, and three cabins at Dosewallips State Park. Services: one dump station, three restrooms (one ADA) and two showers (one ADA). Maximum site length is 60 feet (may have limited availability). Sequim Bay State Park is located north of Olympic National Park near the towns of Sequim and Port Angeles. Sequim Bay State Park features 49 tent spaces and 15 utility spaces. Services: 49 tent spaces, 15 utility spaces, three restrooms (one ADA), three showers (two ADA), Hookup loop: RVs up to 45 feet. Dry camping: RVs up to 30 feet; fee based dump station; overnight moorage in Pleasant Harbor State Park. Part of Clallam County Parks and Recreation Department, Salt Creek Recreation Area is one of the closest public sites to Port Angeles. Campgrounds are located in two distinct areas and 72 of the 90 sites have water views.